This was written while I was a student clinician attending Bastyr University. Though you will no longer find me at the clinic, this article should still give you a good idea of what to expect there! As many of you may know, I am studying to be a naturopathic doctor. Last summer I started seeing patients as a secondary clinician in Bastyr’s teaching clinic. Secondary clinicians are students who are in their first year of clinic (more on them later…). Primary clinicians have completed a year of clinic. It’s the primary clinicians that get to make the final calls. I’m currently half way through my first year in the Bastyr clinic, meaning that at the end of my spring quarter (June 2011), I’ll be a primary clinician. There are several different departments at the Bastyr Center for Natural Health (the clinic’s official name; from now on referred to as BCNH). Its easy to get lost! There are four main departments: Nutrition, Acupuncture, Naturopathic Medicine, and Practitioner Care. The Nutrition department is where you will see Bastyr’s nutrition students, the Acupuncture department is where you will see Bastyr’s acupuncture students, and so forth. Naturopathic Medicine isn’t that simple. Naturopathic Medicine is where you will find the naturopathic medical students, but Naturopathic Medicine is divided up even further into four subdivisions: counseling, homeopathy, physical medicine, and patient care (also known as team care). If you make a counseling, homeopathy, physical medicine, or naturopathic patient care appointment, you will see naturopathic medical students. The only place you won’t see students is in Practioner Care. 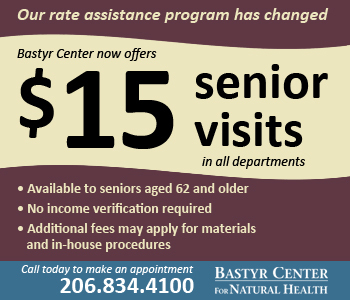 Practioner Care is a part of the Bastyr Center for Natural Health, but it is not a part of the teaching clinic. 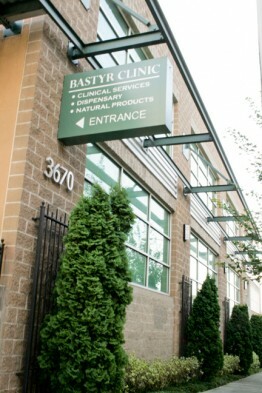 Practioner Care is just like private practice, conveniently housed at the Bastyr clinic. The only time you may see students here is if a student is privately preceptoring with one of the Practioner Care doctors. When you come to your naturopathic medicine appointment (counseling, homeopathy, physical medicine, and team care/patient care), you will usually be greeted in the waiting room by two students. If you make a counseling appointment, you will be greeted by one student. After that, the students will take you to your exam room. The secondary clinician is responsible for obtaining your vitals (blood pressure, temperature, heart rate, and respiratory rate). The primary clinician does most of the talking and “doctor stuff.” The secondary clinician functions more like an assistant and observer, but they usually give a lot of behind-the-scenes input into your case as far as diagnosis and treatment. The majority of appointments are made within naturopathic team care, as that’s the biggest naturopathic medicine department. Its basically primary care medicine. If you are coming for the first time, make sure you block out a good 1.5 hours in your schedule (maybe more since we tend to run behind). However, this does vary between the naturopathic subdivisions. If you visit the naturopathic counseling department for the first time, your appointment will just be an hour. Your first visit to the homeopathy department will be 2 hours long. At some point during your appointment, the supervising doctor will step-in. The supervising doctor may step in a few times or just once, but he (or she) is always fully aware of your case, diagnosis, and treatment plan. The timing of when he (or she) decides to step in varies between individual doctors. Be prepared to answer tons of questions. Naturopathic medical students, as well as naturopaths, are very thorough. Because we look at the whole picture of your health, we ask questions about everything. We will ask you about your sexual history. 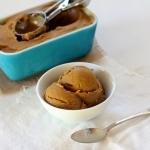 We’ll want to know what you ate in the past 24 hours. We’ll ask about your family. This part takes a lot of time, but its necessary for us to get to know you and your body in order to properly diagnose and treat your current health complaints. After your vitals are taken and the primary clinician is finished interrogating you about your health, both the primary and secondary clinicians will leave the room. The amount of time it will take for the students to return to the room is never consistent (this is not a bad thing though). They usually go straight to the supervising doctor and present your case to him (or her). But sometimes the supervising doctor is busy with another patient or another group of students, and then your two students have to wait. The students may return again to do a few more physical exams or clarify some aspect of your case. Eventually the students will return with your treatment plan. 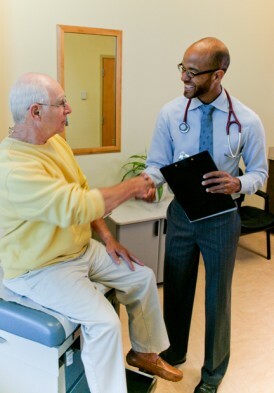 Almost every patient that walks out of a naturopathic team care appointment will have a treatment plan in hand. Your treatment plan will be individually tailored to you and usually has a few items on it. Naturopaths like to address all of you, so if your students notice you need to change your diet or start exercising, it will most likely be written on your treatment plan–even if you come in with a finger sprain and it seems like eating kale won’t do a thing. January through March, I will be a secondary clinician on two different shifts. The shifts are described below. Physical Medicine on Monday Afternoons with Dr. Marti. This is a physical medicine shift with second-year resident Dr. Marti. I do not know much about Dr. Marti, but she is also a licensed acupuncturist. This is a specialized naturopathic medicine shift where you can receive colon hydrotherapy, naturopathic manipulations, muscle energy stretching, orthotics, constitutional hydrotherapy, and much more. I’m sure you may be wondering what all those things are, but this post is getting too long and I’ll tell you about them later. This is a regular naturopathic patient care shift, however, many cancer patients frequent this shift because Dr. Brignall specializes in complementary and alternative medical treatments for cancer. Dr. Brignall is an intelligent, research based doctor who likes to keep things simple. You don’t have to have cancer to make an appointment on this shift, since Dr. Brignall knows what the latest research says about nutrients and supplements for all kinds of conditions. Thank you to Bastyr University for the use of their photographs.